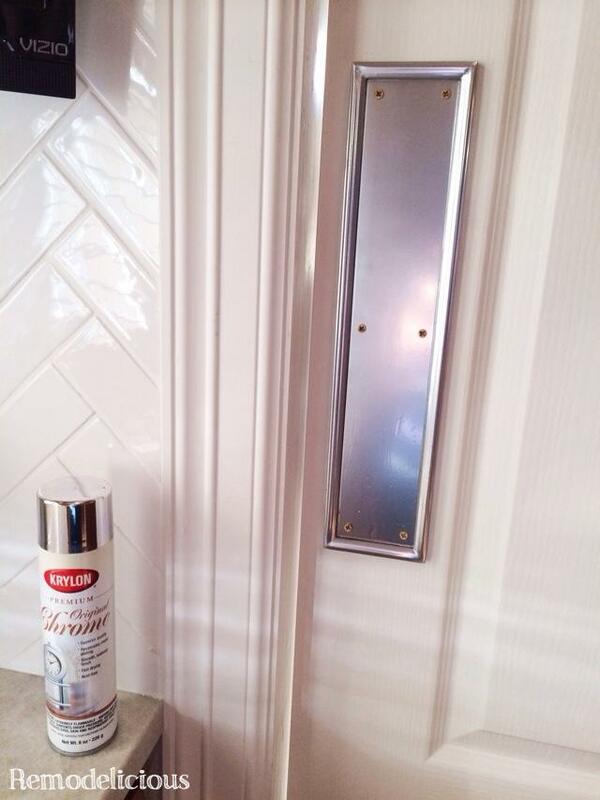 Once again we found ourselves in a predicament… we could a) toss a perfectly good set of push plate hardware + spend money on a new one or b) paint them with paint on hand for free. We had nothing to loose! 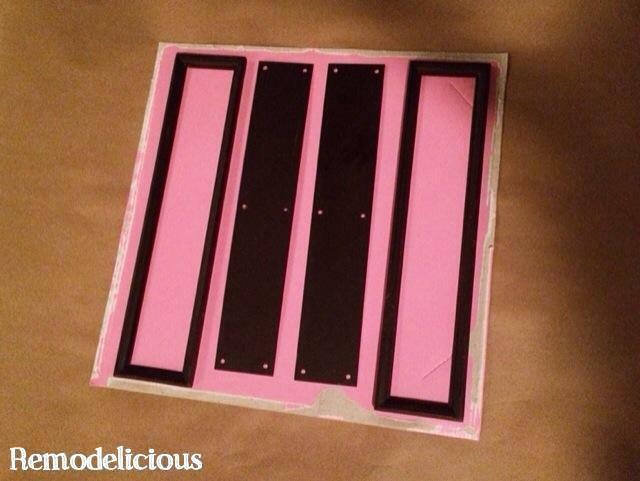 Here’s the oil-rubbed bronze push plates and trim. They were thrown into a bucket of other hardware by our painters when we had the entire house painted. 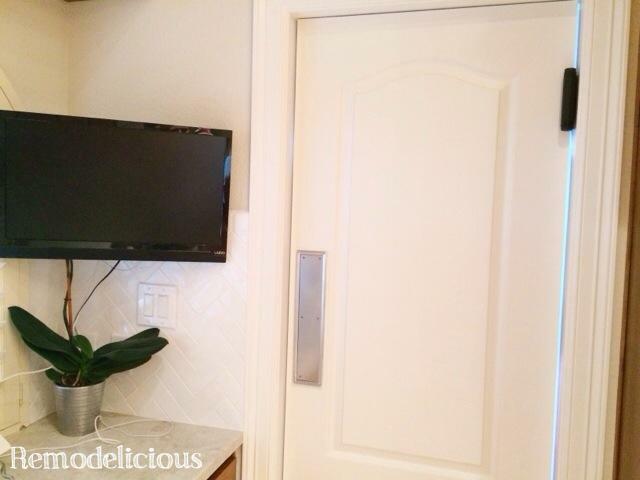 Part of our whole-house makeover was to swap out the dark hardware with bright Chrome. 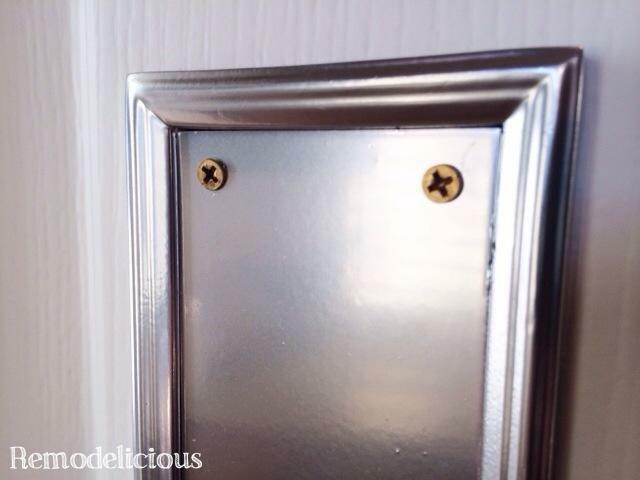 So far we’ve found it impossible to match chrome with paint (or any other refinishing technique for that matter), but a shiny silver would do for these push plates since they weren’t front and center like many of our door knobs & light fixtures. 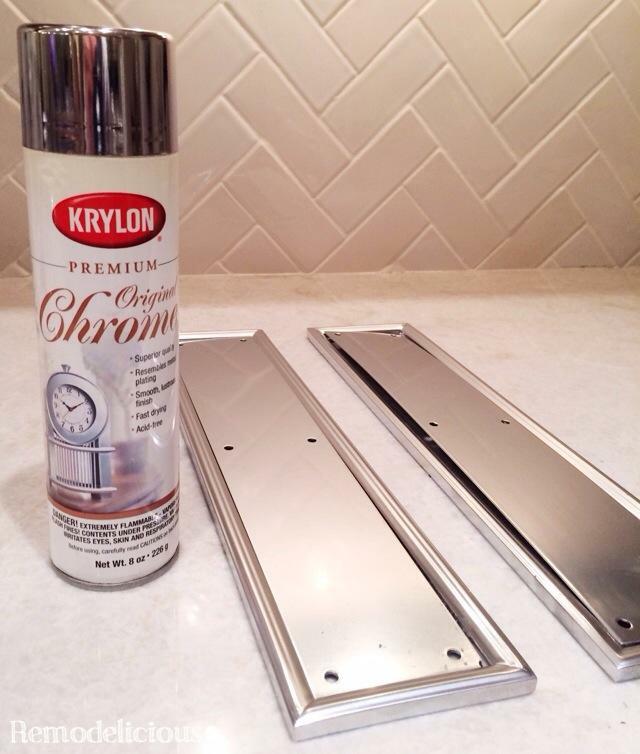 I used Krylon’s “chrome” spray paint which gave us a bright, silvery finish. Instead of dig through a 5 gallon bucket for screws to paint I had another great idea… mixed metal screws! I had these brass screws left-over from another project and love the look. I thought they would be temporary if it didn’t work out (or I could paint them), but I like the contrast, especially since this door leads from the kitchen to the living room where there will be mixed metal valor (like the “new” floor lamp we retro-fitted with a modern lampshade). Now we need to do something about those huge hinges. Maybe more paint?